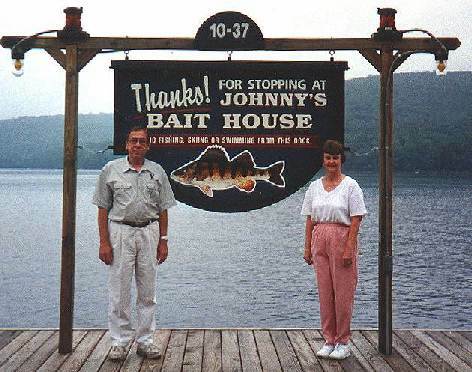 Johnny's Bait House closed its doors in early 2003 after over 50 years of operation. We'd like to thank our many wonderful customers for your patronage over the years. We'll sincerely miss you. Now that we have more time for fishing, we'll see you on the lake. with thanks to F.P. Horan. Background art by Laurie Stenberg.